It's that time of year again... next month Smarty Pants is turning 5! I still can't get my head around "5". It's such a big milestone! So this year Smarty Pants has requested a Police Party. Since it's not a commercial theme, anything goes... as long as the 5-year-old-to-be agrees. So the challenge is on! 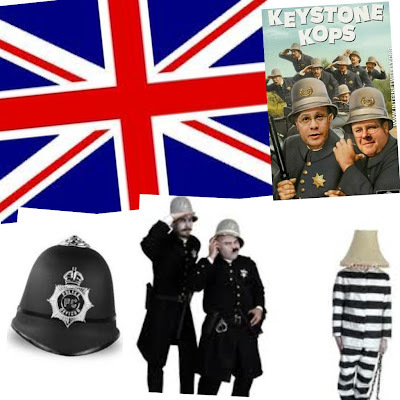 How to make a not so "cute" police theme into something that he'll love and something that I'll enjoy putting together. 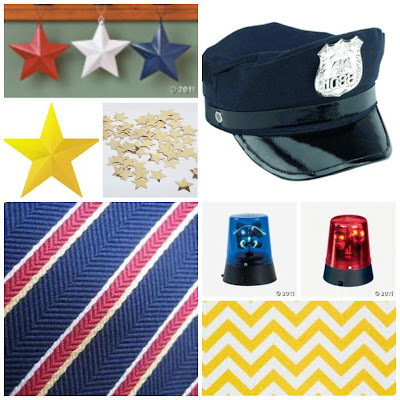 Then, I decided to come back to the States for some Americana inspiration-- Stars, a red & navy color scheme... and maybe a little yellow chevron if I can sneak it in. And flashing lights... Smarty Pants would LOVE that!